At its AUSPACK conference on March 27, 2019, the Australian Packaging and Processing Machinery Association (APPMA) selected the best packaging innovations and products of the year. GEA VIPOLL received the Award of Excellence for its ALL IN ONE monoblock filler in two categories: GEA’s Australian partner Foodmach had submitted the filler for the competition and received the “Best New Product Award” and the “Best Imported Equipment Award” for the ALL ON ONE which fills cans, glass and PET bottles. 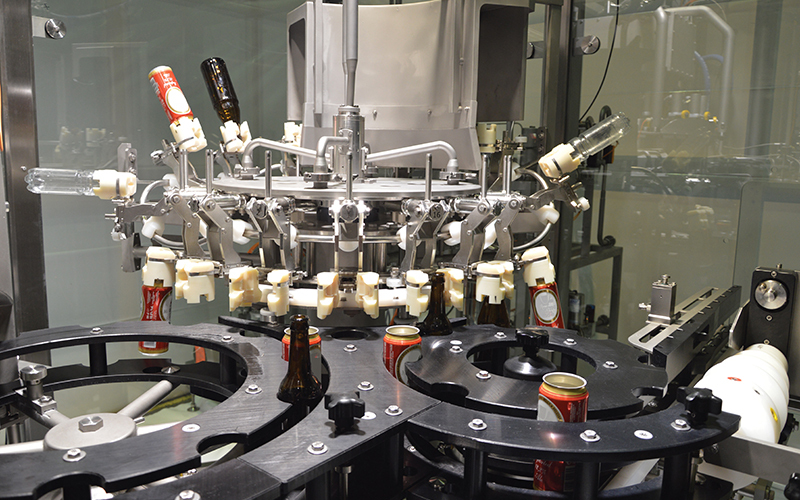 The multifunctional system provides an unprecedented level of flexibility to beverage manufacturers with medium capacities: It can be used to fill glass, cans and PET containers, handle a wide range of formats and seal them with diverse cap types, fill carbonated or still drinks, in cold and hot processes. Partner Foodmach develops and produces secondary packaging equipment and automation systems for food, beverage and industrial companies, and, together with GEA VIPOLL, provides innovative filling technology in Australia. In 2018, the company integrated the ALL IN ONE for the first time into a line for Lion’s Malt Shovel Craft Brewery. As one of Australia’s largest food and beverage companies, Lion markets numerous premium brands in the dairy, alcoholic and non-alcoholic beverage categories.